I would like to remind you that I am a strong proponent of a good night’s sleep. Check out my Page – How important is a good night’s sleep? for more information. The benefits of a good night’s sleep have become widely known, and now neuroscientists at UC San Francisco have discovered that the animal brain reinforces motor skills during deep sleep. During non-REM sleep, slow brain waves bolster neural touchpoints that are directly related to a task that was newly learned while awake, while weakening neural links that are not, the researchers found. Having a better handle on the mechanics of how sleep affects learning could lead to new medical stimulation devices, and consumer-driven wearable devices, or “electroceuticals,” which stimulate brain cells and improve learning as we snooze. Devices from some startups are headed in that direction, but so far they are designed to stimulate the brain while we are awake. Ganguly’s team used a system known as a brain-machine interface (BMI) to better understand how the brain picks up new skills during sleep. The researchers implanted electrodes in the motor region of rats’ brains to send electrical signals to a computer, which then drove movement of a detached mechanical device. Because neural circuits are dynamic, the rats’ brains rewired themselves to control this device just as swiftly as they would have if the rats were practicing new ways to control their own limbs. “A particular neuron may normally be devoted to controlling a limb, but we can create a new relationship of that neuron with an external disembodied device,” Gulati said. The redirected neuron, in this case, will quickly contribute to controlling the external device, and then the researchers can track the activity of this neuron to see how the brain integrates this new association. As reported in a paper published in Nature Neuroscience, Gulati and colleagues connected neurons in rat brains to implanted electrodes, which controled a mechanical waterspout. The source of water was behind a tiny door facing away from the mice. Because the spout faced away, the rats had to learn to use a computer-driven mechanism to move it toward them. As the rats explored several strategies to control the spout, some of which included overt movements, they sometimes activated neurons adjacent to the electrodes. When the proper neurons were activated, the computer moved the waterspout. By monitoring the rats’ brains as they completed this learning process, the team was next able to explore whether sleep played any role in helping to establish the rats’ freshly forged neural connections. “We saw that once rats got the hang of the task while awake, certain neural patterns kept ‘replaying’ during sleep,” Gulati said. These same patterns persisted after the rats woke up, which led over time to improvements in the rats’ performance on the task. What’s more, neural activity that wasn’t necessary to obtaining the waterspout reward had withered away when the rats were retested on the task after they slept. That sleep is important for basic metabolic upkeep and memory processing is well established, but most such studies have involved sleep deprivation. 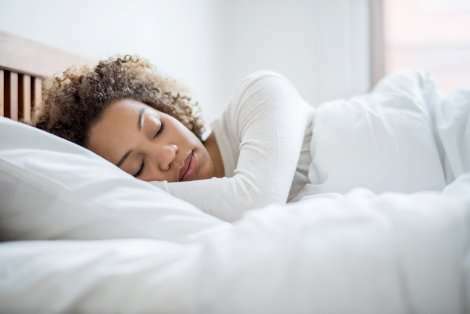 While scrapping slumber altogether does affect memory, it also causes a large number of physiological changes – increases in the stress hormone cortisol, for example, or in anxiety – all of which could contribute to degrading memory. To get around that complication, the UCSF team used a subtle intervention to reveal sleep’s contribution to successful learning. Using optogenetics – a tool that uses light to turn neurons on or off – the scientists were able to suppress neural activity in a small region of the brain while the rats were sleeping deeply. Because optogenetic manipulations are precisely targeted, there was no change in the structure or amount of sleep, only a relatively small tweak in the firing patterns of the targeted brain cells. These experiments showed that subtly altering neural firing during sleep disrupted crucial computations and eliminated the learning advantage observed earlier. The findings confirm that truly task-relevant neural patterns are reviewed during sleep, which enables them to survive after sleep to sharpen motor performance. In particular, this is the first evidence to show that neural reactivation and rescaling – strengthening and weakening – both happen together during deep sleep.